argodesign - work - Why the Internet of Things Will Kill Customer Reviews. You can’t blame people for sharing their opinions. But most reviews are born out of emotion or subjective points of view rather than facts. You can’t blame people for sharing their opinions. But most reviews are born out of emotion or subjective points of view rather than facts. The biggest problem with positive reviews usually stems from someone wanting to justify how they spent their money, typically with little regard or actual experience with comparable products at a similar price point. Conversely, negative reviews usually stem from pure frustration with a product, and it often feels as though they got a defective unit, or sometimes in the case of higher end electronics, a more advanced feature set than they were ready for, resulting in a bad user experience but not necessarily a bad product. Unfortunately the product that works as advertised, fulfills a need, and breaks down when it’s obviously past its prime is a story most consumers looking to make a purchasing decision simply don’t have access to. The star rating system has to go away. It’s entirely subjective and does nothing to tell you about the actual product and the experience the average consumer has with it. This is true across the board with every type of review that uses this system. A quick glance at app store reviews, for example, and you’ll consistently see strikingly opposed viewpoints. Take almost any app with an average 4-star rating, they will typically have 5,000 5-star reviews, and 1,000 1-star reviews, with only a couple of reviews in the middle. One can assume that there are more people out there that would have given it 3 or 4 stars than either extreme, but they simply can’t be bothered to write a mediocre review. And why should they? With the emergence of the Internet of Things, however, there lies an opportunity to fundamentally change the ways we make our purchasing decisions. While emotional reviews from consumers will generally swing towards either end of the spectrum, the ever-increasing online connectivity of new products from TVs, cameras, and even light bulbs presents an opportunity to tell a story from the point of view of the devices themselves. Think Google Analytics for the Internet of Things. These devices could self-report diagnostics, usage time, downtime, uptime, any number of data points that could be relevant to not only the manufacturer, but the general consumer base at large. By aggregating the data anonymously and having standardized results that move across brands, it would give consumers a much fairer brand comparison that currently only differentiates between price points and features sets. The key to all of these devices working within a standardized review system is buy-in from the manufacturers. A neutral third party would have to be the keeper of record, which could potentially come from a Google, but more likely from an Amazon or Consumer Reports. The only issue with an Amazon or Google keeping track is that since they themselves have entered the consumer electronic space, it could be seen as a conflict of interest from other competing vendors. But with standardized reliability reports, manufactures would have an incentive to see exactly how their products perform in the real world, under real circumstances, and head to head against their competition. This could play nicely into how manufacturers structure their warranties or select vendors for various parts. The best and most reliable brands would earn an invaluable marketing story. So what should we do until this kind of reporting catches on? 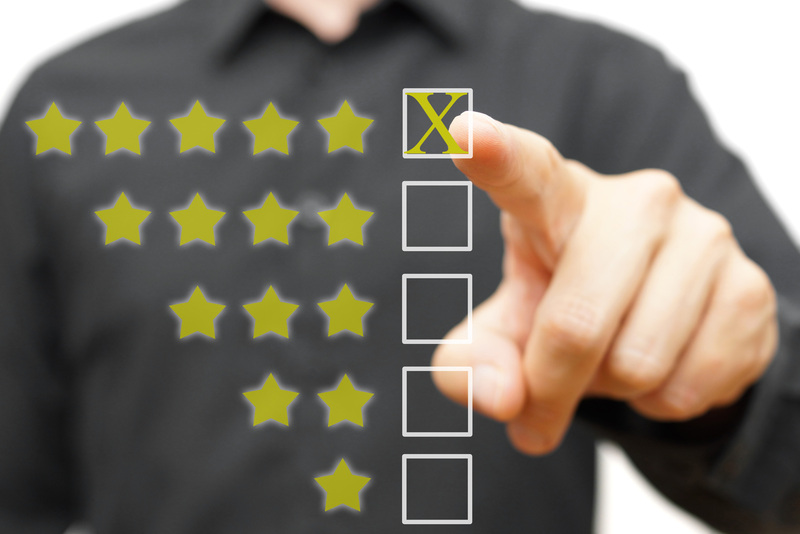 Start by taking a more objective outlook towards online reviews. Compare online reviews against more traditional buyer guides like CNET or Consumer Reports. And maybe take a page from Warren Buffet, who claims to never buy anything he doesn’t want to have for at least 15 years. Approach every purchase as an investment, and put quality and reputation first.